Etihad Airways says there has been an improvement in its core operating performance despite posting a third consecutive annual loss in excess of US$1 billion in calendar 2018. 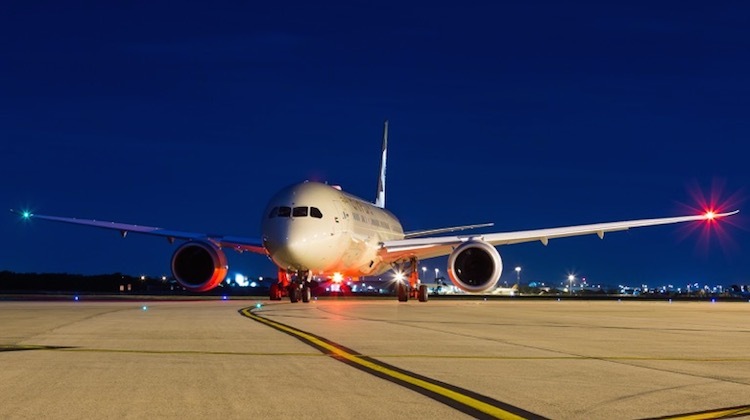 The Abu Dhabi-based carrier reported its financial results for the 12 months to December 31 2018 on Thursday (United Arab Emirates time), which showed a full year loss of US$1.28 billion. While this was a 15 per cent improvement from an annual loss of US$1.52 billion in the prior year, the result is still third time in as many years the airline has suffered a loss of this magnitude, given the US$1.87 billion loss in calendar 2016. 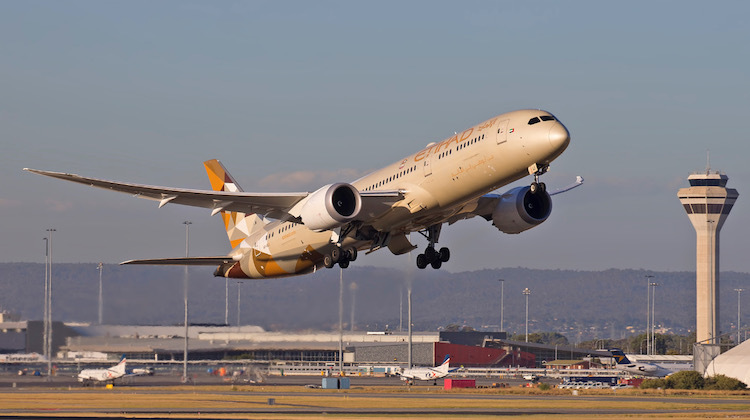 Etihad Airways, which serves Brisbane, Melbourne and Sydney from its Abu Dhabi hub and owns about 20 per cent of alliance partner Virgin Australia, is in the middle of a five-year transformation program that began in 2017 to improve its financial position. So far, there have been network changes, such as the end of nonstop flights to Perth from Etihad’s Abu Dhabi hub, as well as a review of its airline investments that led to the sale of its shareholding in European regional carrier Darwin Airline. More recently, Etihad has also made changes to its aircraft order book for Airbus A350s and Boeing 777-Xs. The Abu Dhabi-based carrier said it was now committed to taking six 777-9Xs over the coming years, compared with its original order for eight 777-8Xs and 17 777-9Xs. Similarly, it was committing to five A350-1000s, compared with the original order for 40 A350-900s and 22 A350-1000s. Its order of 26 A321neo narrowbodies was unchanged. The airline’s order book also included 41 Boeing 787-9s, of which 24 have been delivered and 30 787-10s, of which five have been delivered. The airline has not disclosed the status of this order. 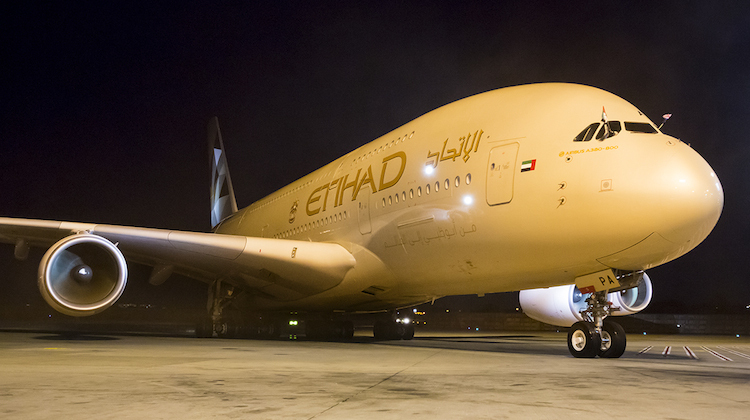 During 2018, Etihad Airways reduced its fleet by nine to 106 aircraft. The airline has also sought to unbundle some of its passenger offerings, adding buy-on-board products such as pyjamas and amenity kits or neighbour-free seating. It was also upgrading its seats and adding streaming technology on its A320 and A321 aircraft. Etihad said yields – an industry term measuring average airfares per passenger – rose four per cent “driven by capacity discipline, network and fleet optimisation, and growing market share in premium and point-to-point markets”. Capacity, measured by available seat kilometres (ASK), fell four per cent. However, average load factors, which measures how full the flights are, was 76.4 per cent in 2018, down 2.1 percentage points from 78.5 per cent in the prior year. “In 2018, we continued to forge ahead with our transformation journey by streamlining our cost base, improving our cash-flow and strengthening our balance sheet,” Etihad Aviation Group chief executive Tony Douglas said in a statement. “Our transformation is instilling a renewed sense of confidence in our customers, our partners and our people. Etihad said it carried 17.8 million passengers in calendar 2018, down from 18.6 million in 2017 and 18.5 million in 2016. Meanwhile, annual revenues fell to US$5.9 billion in 2018, compared with US$6.0 billion in 2017 and US$ 8.36 billion in 2016. The airline noted its 2018 results reflected “core airline operations only” and excluded any extraordinary or one-off items. Douglas said Etihad, which in 2018 celebrated its 15-year anniversary, was “maturing as an acclaimed international airline, seizing opportunities and heading into the future as a pioneering leader”. “We will continue to offer superior services to every traveller while growing our global footprint, embracing technology, boosting revenues, and driving efficiencies and commercial excellence across the entire organisation,” Douglas said. so these massive losses can’t continue. Something has to give. Will they shrink, merger with Emirates or close down altogether ? @Mark Yeah seems unsustainable until you remember it’s state owned and they’ll keep pouring cash into it…but you wonder when they might stop doing that too? I think they are trouble because they bought some so many failing airlines like Air Berlin which must have not good for the bottom line.